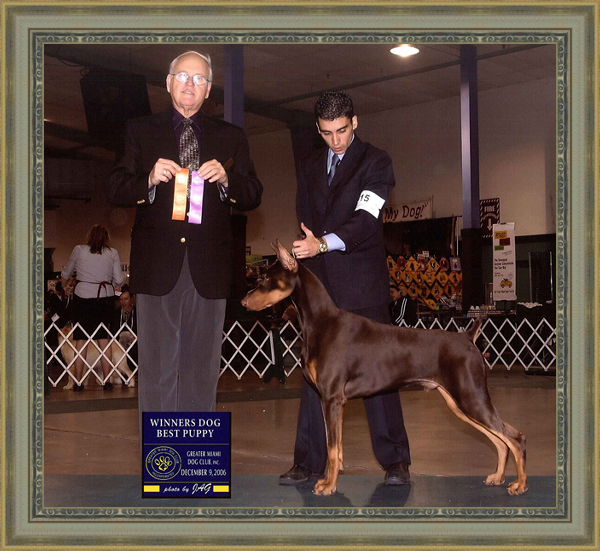 Mr. B going WD and Best Puppy under Mr. William Stebbins with handler, Matias Dominguez. 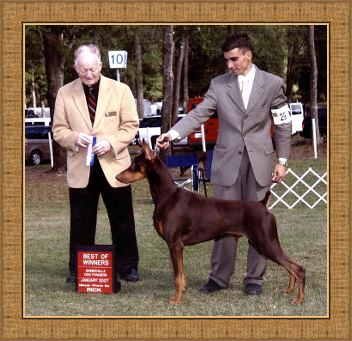 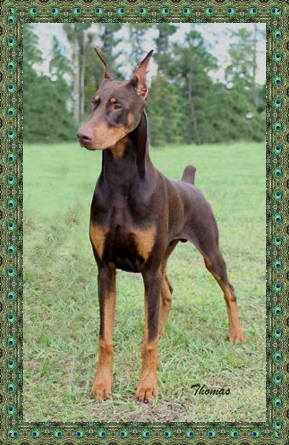 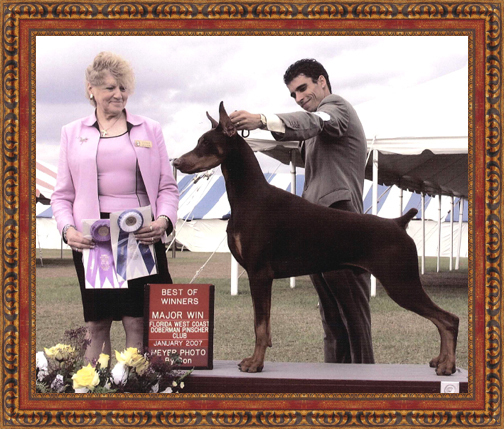 Mr. B shown taking a major on the Florida circuit under breeder/judge Ann Saliba (Lancaster Dobermans) at the Florida West Coast DPC! 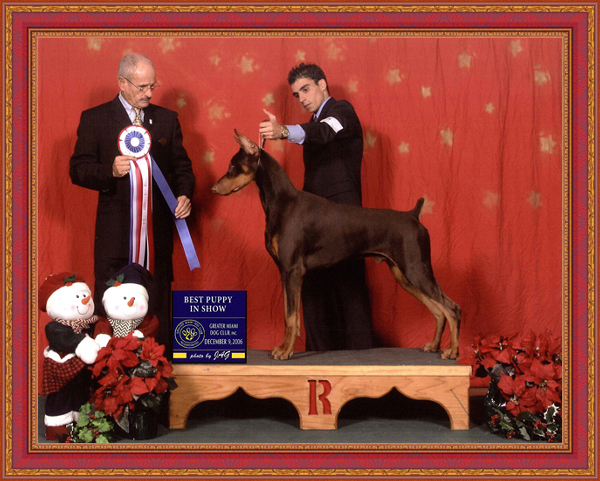 Mr. B finished his AKC Championship under judge Bradford Dunn!